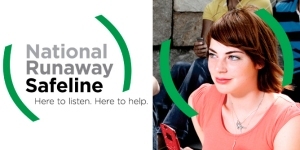 The Chicago-based National Runaway Safeline (NRS), the federally designated national communication system for runaway and homeless youth, announced the four newest members to serve on its board of directors. The new board members are Greg Buseman, director of business development at West Monroe Partners, LLC; José Ignacio, founder and managing director of CIO Eureka! ; Steve Mack, a retired partner at Ernst & Young LLP; and Joyce Sapir, NRS’ 2014 Volunteer of the Year. The announcement occurs as NRS prepares for November’s National Runaway Prevention Month, a national public education campaign to raise awareness of the runaway and homeless youth crisis and the issues that these young people face, as well as to educate Americans about solutions and the role they can play in ending youth homelessness. © 3501 Chicago Hispanic Newspaper, Lawndale News, Hispanic Bilingual Newspapers, Su Noticiero Bilingue. All rights reserved. XHTML / CSS Valid.